CSW Group manages and delivers contracts to engage all its customers in learning and work. CSW Group is one of the region’s top performing organisations with a “can do, will do” approach. We have grown steadily and now delivers services through contracts which extend across the South West region. Our core service brands are ‘CSW Group’, ‘Education Business Partnership – South West’, ‘Investor in Careers’ and ‘Somerset You can Do’. Referral routes – Referrals will be received from a range of sources: Delivery Partners Networks; JCP; Enterprise Business Partnership; Housing Associations; Others –Together for Families, Inclusion Cornwall, Schools, Christians against Poverty, Volunteer Cornwall, Dracaena Centre, Trelander etc. will generate referrals. CMN will focus support towards families and communities at the heart of a neighbourhood working alongside a local Education Trust, helping staff and parents develop skills, gain confidence and improve learning capacity, adding value to a family unit. Including qualifications to develop employability prospects and be more confident in the market place; A menu of ‘community’ activities’ to learn new skills and better understand aspects such as family budgeting; Employers will offer ‘have a go’ days to sample talents not tried before – inviting the whole family to join in! ; Community will be enriched by learning together whilst individuals can be supported in their next chosen pathway. DPN is the largest network of ICT and Digital businesses in Cornwall. We offer services including; IAG and training provision in a wide range of Digital subject matter including; Social Media Marketing, Website Design, Graphic Design software and Video Production for the Internet as well as Functional Skills Maths and English qualifications. Provision offers the opportunity for individuals and businesses to network and gain contacts. Motiv-8 SW will deliver non regulated training to individuals helping them prepare for the work environment utilising a range of local venues in CornwallWe focus on changing mind-sets, attitudes and behaviours through coach-mentoring techniques whilst unlocking a person’s true potential. We help people overcome their complex and sometimes multiple barriers towards employment. We work with all levels of learners; we support, empower and inspire people to make their own decisions, life choices and to move forward into employment, further education or training opportunities. A 3-12 week programme focused on individual need moving them into realistic and sustainable employment opportunities. We give everyone the best experiential learning experience to move them into work. We have designed the programme around the employers needs and also co designed with individuals of all ages. At the point of engagement clients will be assigned a key worker, who will support them through the journey, which will be individual and flexible to suit their needs. In depth initial assessment, induction and IAG will start to identify their goals, and an appropriate programme will be mapped. This may include as: Ongoing IAG; Soft Skills development (confidence, communication); Employability Skills; Coaching & Mentoring; Vocational Skills; Specialist support. Depending on client needs, some aspects will be accredited delivery, whilst others will be unregulated. 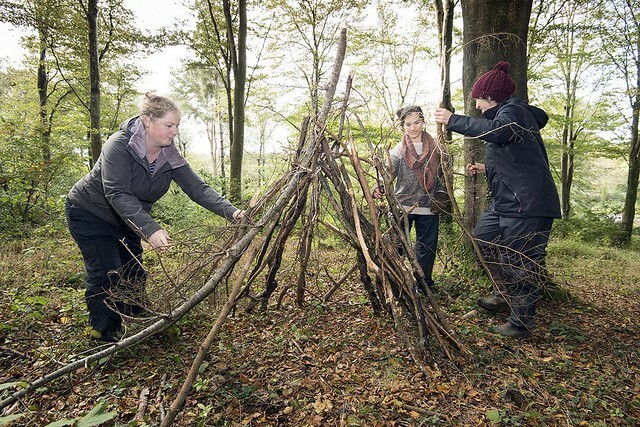 We are delighted to be able to offer free Forest School training to people in work and living in or near Cornwall. With this training you can take a step up the training ladder with Level 1, Level 2 and parts of Level 3 Forest School training with additional learning choices including plant identification, eco research, risk assessing, fund raising, social media training and work placements.